Ariel Horowitz and Leerone Hakami wrote about their experience on the Navajo Reservation in the October Journal. 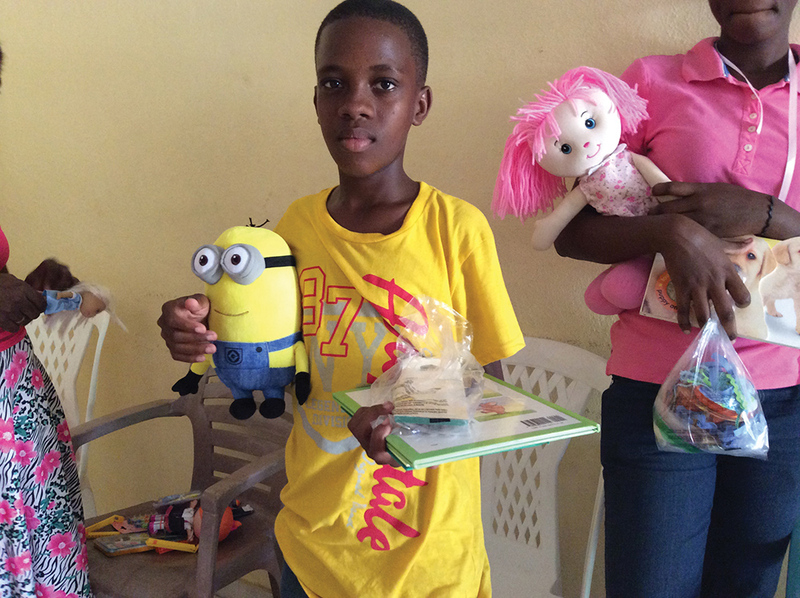 At the last minute before winter break, Marie Jeanne Dusseck, costume shop first hand, decided to return to her native Haiti for the first time in decades. She'd been very involved in Haitian relief efforts over the years, particularly after one of her brothers died in the devastating 2010 earthquake. The country has never recovered from that—and was slammed again this fall, by Hurricane Matthew. Before leaving for her December trip, Dusseck put out a call for donations of first aid supplies and personal hygiene items to be distributed by the nonprofit Haitian Women for Haitian Refugees. She wrote to thank members of the Juilliard community for helping out. For more information, contact Marie through the Journal. One of the places where Marie Jeanne Dusseck helped in Haiti was an orphanage in an area that had been particularly hard hit by Hurricane Matthew. For information about future aid efforts, contact us at journal@juilliard.edu. Mille mercis—a thousand thanks to you all for your generosity and valuable donations which are so appreciated! During my short visit in Haiti, I learned—from the youngest to the oldest residents—powerful lessons in patience, humility, courage, and dignity. I thank you for your support in making the drive a success—and now I vow to lend a helping hand every way that I can. Two items in the October Juilliard Journal impelled me to write this letter. The first is the Staff Portrait of Lori Bierly Padua, who was very professional and friendly in accepting several charitable gift annuities and two very historic horns that I donated to the school. The second is the article by two wonderful, altruistic young ladies about their Navajo Reservation experiences. Having done my doctoral dissertation about some inter- and intra-cultural factors on the Navajo, my wife and I thought you would like to know that Juilliard was on the Navajo Reservation in the 1950s. This came about after I spent seven years in New York substituting frequently in the Philharmonic, being the original horn player in the New York Brass Ensemble, playing two years on TV and on stage with the Skitch Henderson orchestra, being first hornist in the Radio City Musical Hall Symphony Orchestra, and getting a master's degree in sociology and anthropology. My wife, Gilda Greenberg, and I decided we needed to do public service and had the unique experience of living humbly with a population desiring to participate in a developing, complex world. Incidentally, after Gilda and I retired from Western Michigan University, in 1992, we ended up being made senior research associates at the Museum of Indian Arts and Culture and Laboratory of Anthropology in Santa Fe. And after retiring from that, we moved to a continuing care community in North Carolina, where I was reunited with my Juilliard teacher/mentor/eventual professional colleague Robert Ward ('46, orchestral conducting; faculty 1946–55), whom I had not seen for 50 years. We enjoyed dining together two or three times a week for several years until his loss of mental capacity and passing, in 2013, and The Juilliard Journal was often part of our conversation. 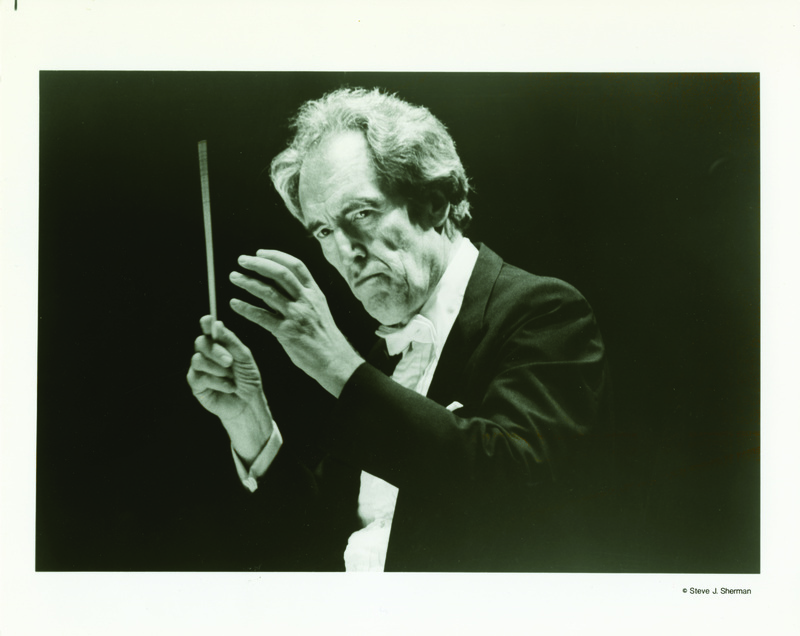 In the April Journal, there was a tribute to Otto-Werner Mueller (1926–2016), head of Juilliard's conducting program from 1987 to 2004. This reader studied with Mueller much earlier in the maestro's career. A self-described kid from Idaho studying trombone and conducting in Wisconsin, he remains indebted to the “global phenomenon” who patiently and kindly took time for him. be—eternally grateful. May he rest in peace in the musical pantheon.